Taranum is a bubbly 13 year old girl. She is studying in Grade 8 in Madina Mission High School, a low-income under-resourced school in Hyderabad. She is consistently placed among the Top 3 in my class. 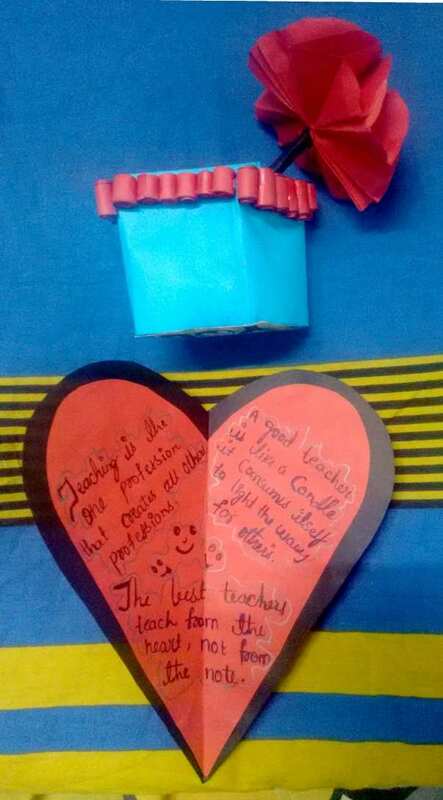 Apart from academics, she also has a keen interest in Art and Craft. Unfortunately, her family is struggling to manage funds for her education, next year. Picture: Taranum is standing 6th from the right. Please help her in continuing her education in the 9th grade. The annual fees charged by the school for the 9th grade is Rs 8,650 [includes tuition (Rs. 8400) and term fees (Rs. 250)]. The remaining amount (Rs. 1,350) will be used to purchase workbooks and additional study material issued by the school. Deepak V is a Fellow at Teach For India. 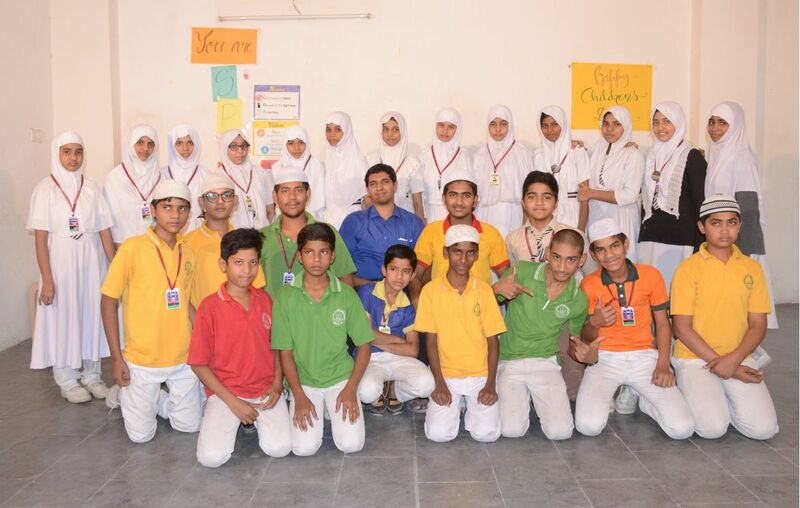 He is the class teacher of a Grade 8 classroom in a low-income, under-resourced school in Old City, Hyderabad. Prior to joining Teach For India, he pursued a masters degree in management from the Indian Institute of Management (IIM), Ranchi. I have been able to use the funds that you had generously donated to fund the education of 3 of my former students. Thank you, once again, for your benevolence. I have unfortunate news and a silver lining. I'll start off with the unfavorable. After delivering the news of our successful campaign to Taranum, she was on Cloud 9. But, alas, it was not to be. Her mother, while grateful for the donation, has some non-financial personal issues to sort out with her spouse. I tried talking to the mother for a compromise with the father, but the talks have reached an impasse. I'm monitoring the situation closely and hoping for a positive outcome. However, in the midst of this turmoil, an opportunity to sponsor another student of mine has come up! 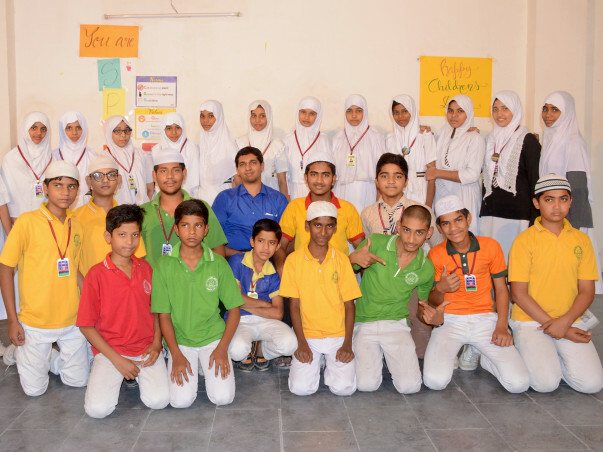 Rahmath is kneeling on the 2nd row (extreme left). He is a reserved 13 year old boy, studying along with Taranum and 23 others in Grade 8, Madina Mission High School. His father was diagnosed with cancer 10 months ago and the family is using their savings on his treatment. Due to the ongoing treatment, they are unable to provide for Rahmath's education. The school management, on compassionate grounds, waived off Rahmath's fees for Grade 8. But they have informed me that this support would be discontinued in Grade 9 as they are unable to bear the financial burden. I appeal to you, in helping me pay Rahmath's tuition fees for Grade 9. His parents have happily accepted my proposal of paying Rahmath's fees. I understand that each one of you have trusted me with your hard-earned money and will repay you if you feel that the new cause does not align with your original intention to donate. Kindly contact me at +91 - 9986054488 in case of any questions and I shall be happy to address them. It gives me great pleasure to inform you that we have over-achieved (146%) our initial goal of Rs. 10,000/- . Taranum and her friends will be really thrilled to hear the good news! 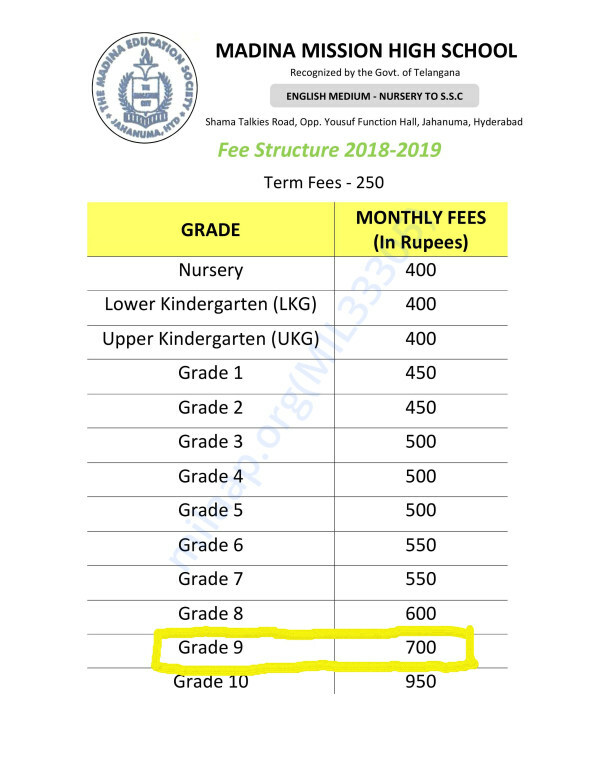 As mentioned in the campaign web page, the annual fees charged by the school for the 9th grade is Rs 8,650 [includes tuition (Rs. 8400) and term fees (Rs. 250)]. Rs. 1,350 will be used to purchase workbooks and additional study material for Taranum. The additional Rs 4,600/- will be used to sponsor students in my class as per need. As many students belong to marginalized communities, there are quite a few students who would need financial support. The additional funds will be used to cater to the same. I shall keep all of you posted with regular updates regarding the fee payment. Best wishes to Taranum to achieve her dreams.